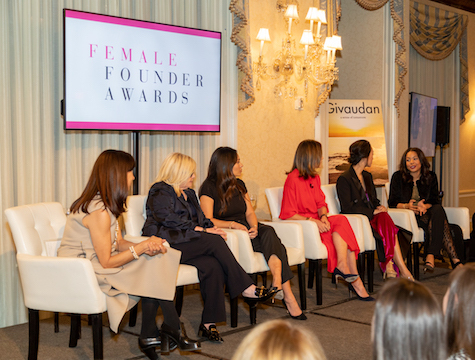 For an organization that’s all about uplifting women in business, it’s not surprising that female empowerment was the theme of Cosmetic Executive Women’s first Female Founder Awards. Held this past Tuesday at the Harmonie Club in Manhattan, the event honored six women who are helping to shape the future of the beauty industry with their passion, leadership and innovation. 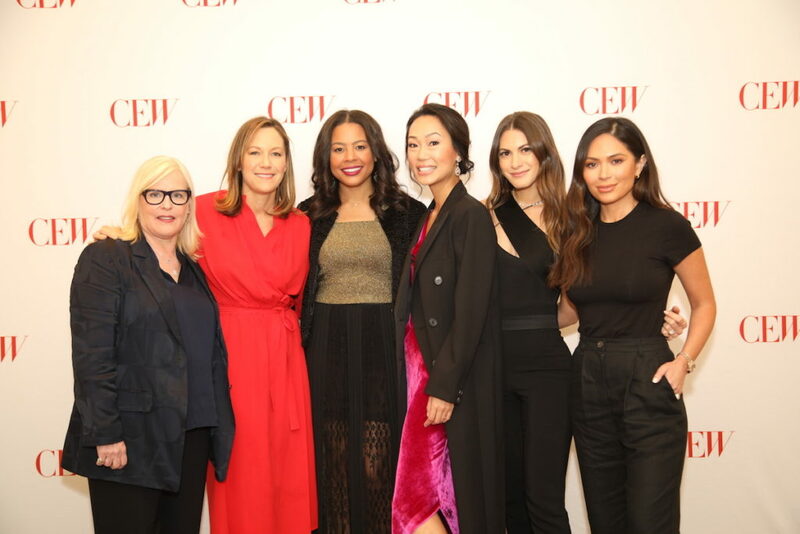 “We have been recognizing and empowering women for 65 years; the organization — not me,” said CEW President, Carlotta Jacobson, setting the tone for an evening filled with humor, honesty and, of course, powerful stories from women in the beauty industry. After accepting their awards, the honorees spoke about their journeys with Jill Scalamandre, who is Chairwoman of CEW and President of bareMinerals — which proudly sponsored the event. These are the words that inspired us most. – Vicky Tsai, Founder, Tatcha Inc.
Watch Shalom’s full powder makeup video for more mineral makeup magic, including our Mineral Veil Finishing Powder. Our BAREPRO makeup family is changing the beauty landscape with a simple proposition: skin-improving longwear. These formulas are everything we stand for: PRO-SKIN, PRO-PERFORMANCE and PRO-YOU, with great ingredients and lasting wear that keeps up with you all day long — so you can focus on what you stand for. We asked three beauty influencers who love new BAREPRO 16-Hour Full Coverage Concealer to share what they stand for — and why they love our high-performance, natural-looking makeup. Today, we’re talking with Arshia Moorjani, a beauty influencer based in Fort Lee, NJ. bareMinerals: What are you PRO? 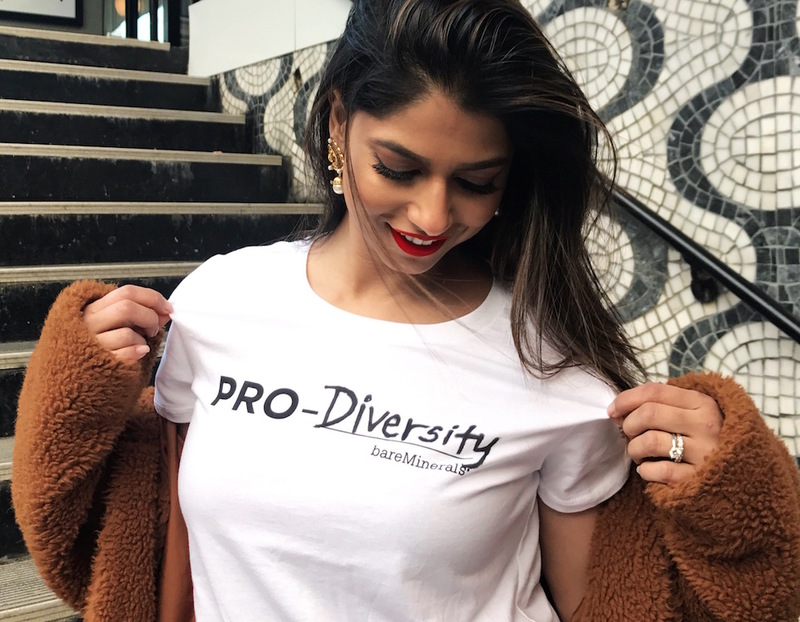 Arshia Moorjani: I am PRO-DIVERSITY because growing up, I never had anyone who looked like me to look up to. I was obsessed with YouTube in my early teens, but never saw any South Asian women, so I decided to fill that void myself! bareMinerals: How do you suggest others can act on a passion? Arshia: Just do it! It sounds so simple and cliché but it’s true! We tend to hold ourselves back because we are so scared of just getting started… then work as hard as you can and the rest will follow! bareMinerals: What are three things you do for yourself every day? Arshia: Meditate, read and spend time on my skincare. Meditating has helped me realize that I am in control of my thoughts, reading has taught me such valuable lessons, and spending a little bit of time on my skincare is truly my “me time” which is so important. I am a firm believer that you can take care of others only when you truly take care of yourself first. bareMinerals: On what occasions do you wear full coverage makeup? What makes performance wear makeup important to you? Arshia: Because of my job, I wear full coverage makeup on a daily basis… between filming, meetings and shoots… my days usually start very early and end very late and I am constantly on the go. I need my makeup to be at its top performance at all times and need to ensure it lasts all day! bareMinerals: What’s one concealer tip everyone should know? Arshia: Create an upside-down triangle under your eyes and bring the concealer back past your brows. Once blended, this gives your face a faux “lift.” Why doesn’t want that? bareMinerals: What makes you feel confident? Arshia: I feel the most confident when I am being my most authentic self. I have tried to be like others in the past, but realized very quickly that one one is out there quite like me, and I need to embrace myself exactly as I am. We asked three beauty influencers who love new BAREPRO 16-Hour Full Coverage Concealer to share what they stand for — and why they love our high-performance, natural-looking makeup. 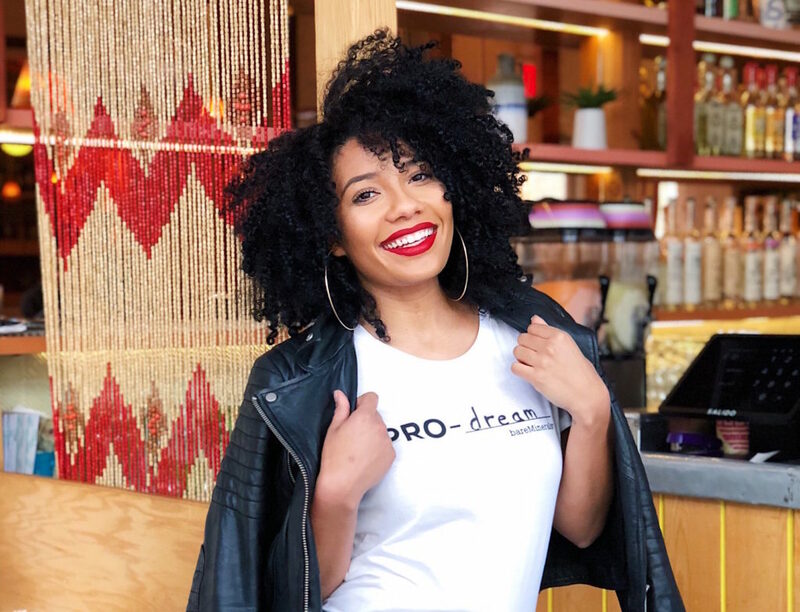 Today, we’re talking with Jessica Franklin, a blogger and entrepreneur based in Brooklyn, NY. Jessica Franklin: I’m PRO-WELLNESS because I’ve realized that there is so much value in taking care of my health. Without it, I cannot live up to my full potential and be effective in my career, with my family, and in any other areas of my life. bareMinerals: How did you discover your passion for wellness? Jessica: This has been a journey for the past 5 years or so. I’ve gone from working out once in a while and eating whatever I wanted (fast food, sugary drinks, etc.) to now working out 3-4 times a week and making healthier food choices. It’s not a diet for me, but a lifestyle. The more I do it and continue on this journey, the more I adopt better habits. I’m not perfect … but I’m always trying my best and to me, that’s what really matters. Jessica: As cliché as it may sound, I have learned that confidence starts from the inside first. Without that, it is impossible to feel confident. But of course I feel even more confident when I get dressed and do my hair and makeup. I love when my makeup looks flawless. bareMinerals: In your life and line of work, what makes natural-looking makeup so important? Jessica: When I wear makeup, it’s important that I still look like myself. I never want to feel like makeup is a crutch and that I need it to feel better. Instead, it compliments me. Since my job involves influencing other women to feel confident both inside and out, I want them to feel the same way when it comes to their makeup. bareMinerals: How often do you wear full coverage makeup? Jessica: I wear full coverage makeup about 4-5 times a week! I wear it to meetings, photoshoots, events and even meeting up with my friends! It makes me feel good, knowing my makeup looks great. I love that BAREPRO Liquid Foundation provides full coverage, but doesn’t feel or look heavy. It really looks like skin! When applying concealer to your eyes, draw a triangle with your concealer rather than dotting or swiping it on. This guarantees a flawless application and it’s super easy! Jessica: 1. Set aside time for myself in the morning for reading, prayer and just alone time! 2. Work out. 3. Listen to my favorite songs and albums. Good music really puts me in a great mood and has such a positive effect on my day. What do you stand for? Share what you’re PRO on Instagram, tagging #bareMinerals to join the conversation. We asked three beauty influencers who love new BAREPRO 16-Hour Full Coverage Concealer to share what they stand for — and why they love our high-performance, natural-looking makeup. Today, we’re talking with Serein Wu, a content creator based in Los Angeles, CA. 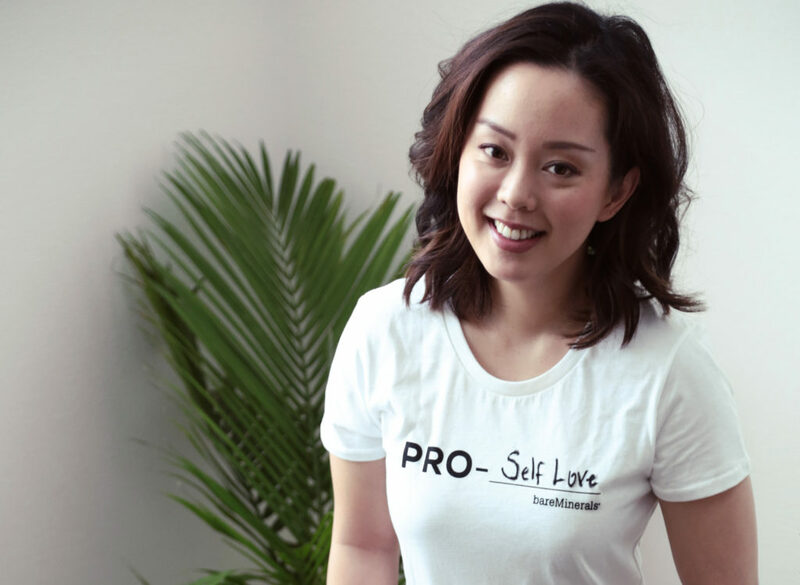 Serein Wu: I am PRO-SELF CARE and SELF LOVE. Self care is so important for our self esteem and confidence. Taking time to relax, take a bath, read a good book or apply makeup that makes you feel good can all improve your mental health and boost your confidence. When I look and feel my best I can deal with whatever life has to throw at me. Serein: I always take my time at night to do a full 3- to 5-step skincare routine. It helps me unwind and I truly enjoy my skincare time. I’m currently trying to complete a 12-week workout challenge, so I’ve scheduled an hour each day for me to be able to get my workouts in. Physical activity is so important to me — it helps with my stress and overall moods. Lastly, breakfast. With my schedule, meals can sometimes come at random times and be on the go, but breakfast is the one meal a day I sit down and enjoy, no matter what. Serein: I want to motivate and inspire people to feel their best from the outside in. While there is nothing wrong with full-on glam, I don’t want people to feel like they have to have it to go out in the world. 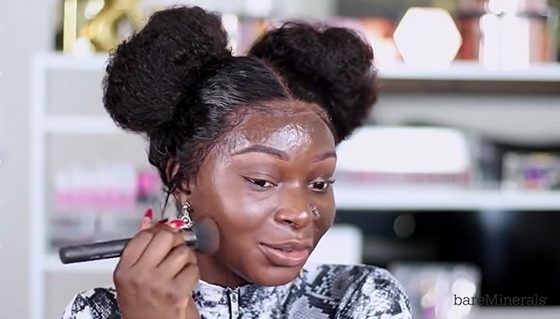 Natural-looking makeup is important to me because I want people to feel good, but not hide their skin. Freckles, scars and moles are part of what makes us unique. For a while, being on social media made me feel very self-conscious. All the skin filters didn’t help either. It took me a while to remember what skin looks like and that it’s OK to want to minimize something or to even out your skin, but at the end of the day, it’s important to love who you are without all the fun beauty products. Serein: I wear a little bit of makeup on most days, especially concealer and brows … sometimes I just want to pull out all the stops and do a full face … it really depends on my mood. Serein: Find a good concealer that matches your skin tone. It can act as a magic eraser in a pinch. Apply to uneven areas on your face, blend with your fingers or a brush. Set. Done! Full face, one product. I actually do this most days because It’s fast and looks really natural.